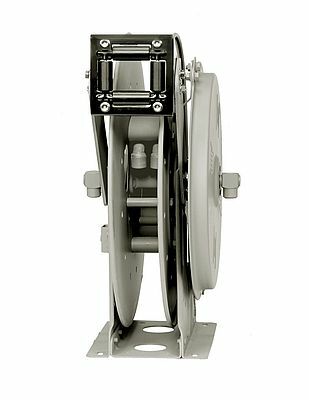 N600 and 2000 Series are two ranges of reels from Hannay Reels, designed to handle hydraulic applications. They are able to provide smooth operation of hydraulic tool systems. 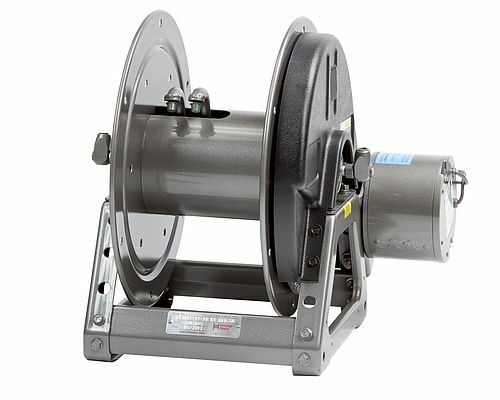 N660 is a spring rewind reel with a tiny footprint, making it ideal for facility installation or installation within small compartments; 2000 Series is ideal for applications that may require manual or power rewind reels. N600 is equipped to handle 1/4" through 1/2" I.D. hose, and up to 100 feet in length. It has a working temperature from -51°C to +121°C. It owns a narrow frame and compact mounting base, and a declutching arbor to prevent damage from reverse winding. Its standards are: inlets 90° balanced pressure swivel joints, 1/2" female NPT threads; outlets 1/2" female NPT threads; pressures to 207 bar, available up to 690 bar. 2000 Series can hold lengths of hose up to 300 feet, and dual 1/4" through 1/2" I.D. hose. The reel is equipped with two swivel joint inlets and two outlet risers to effectively operate two equal lengths of hose with ease. It has a working temperature from -7°C to +204°C. The standards are as same as N600. MX crank rewind reels have pinion brake. Chain-drive crank rewind or chain and sprocket rewind are powered by an electric or compressed air motor.